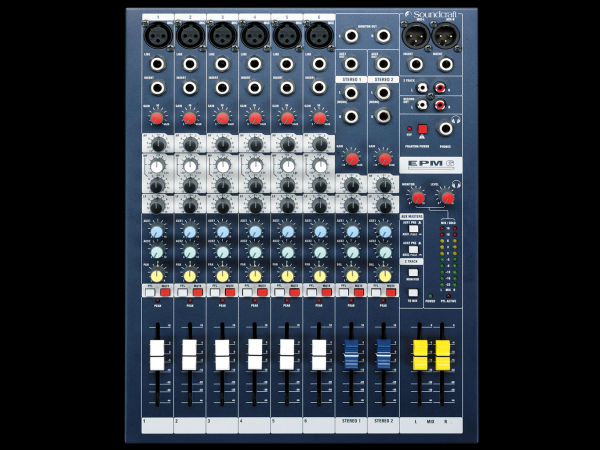 Soundcraft have unveiled another addition to the rapidly growing new Soundcraft family, the multi-format low-cost high performance EPM mixers. The Soundcraft EPM 6 is a Low-cost high-performance mixer. The emphasis with the Soundcraft EPM 6 is very firmly on quality build and audio performance, with an easy to understand control surface uncluttered by unnecessary facilities, and Soundcraft have brought new technologies and ideas to this very cost-effective range. Surface mount technology is used throughout, using close-tolerance components for high accuracy and repeatable settings for EQ and gain controls. The highly-transparent GB30 Mic amp (designed by Graham Blyth, and also used on the larger LX7ii and GB Series consoles) features high-resolution adjustment over a wide gain range of 55dB, and provides a stunning +22dB headroom through the console. True professional 48-volt phantom power caters for condenser microphones of all types. A unique feature of the signal monitoring on th Soundcraft EPM 6 is the PEAK led. This uses multipoint signal take-offs to watch for overload in several parts of the channel strip, and the led lights more brightly as the signal approaches the peak point. 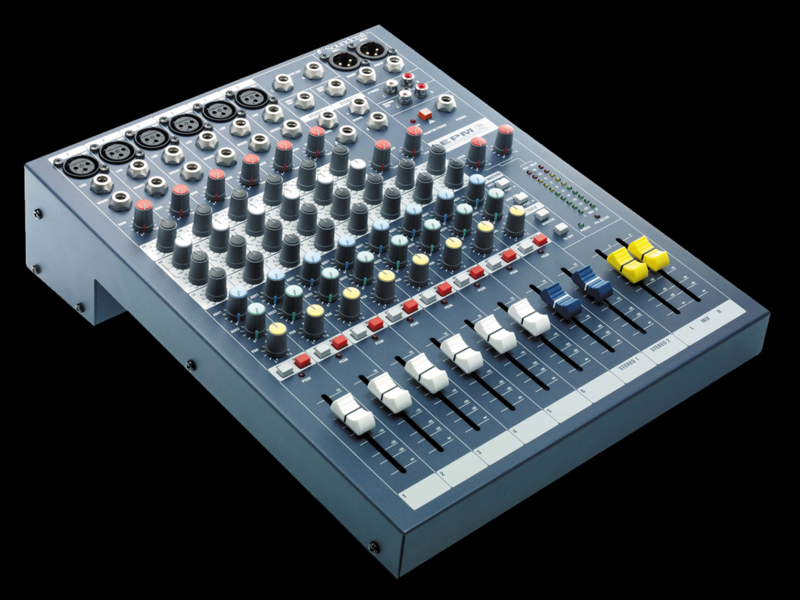 For smooth and accurate channel control, the Soundcraft EPM 6 has 60mm high quality faders as used on other Soundcraft desks. 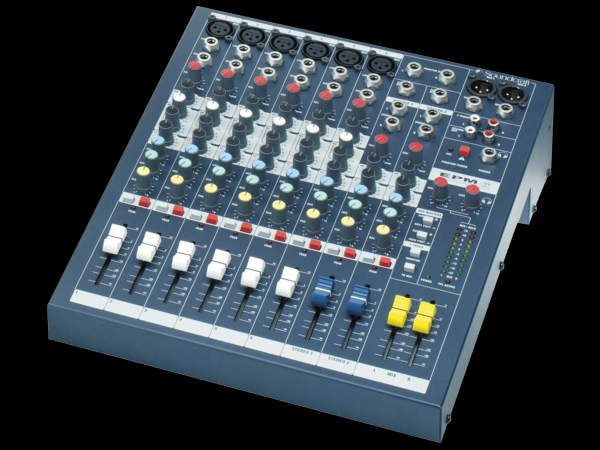 The monitor output and headphone output work in parallel so that performers can still listen on phones while an engineer is listening on studio monitors. 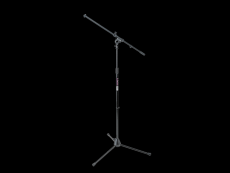 Nothing stops a Rhino – This Mic stand is ideal for live performances and studios. 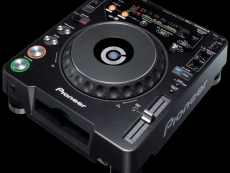 The Pioneer CDJ1000 mk3 CD player offers the same robust build beloved by club owners and DJs, is finished in the familiar high-quality polished look and remains faithful to the clean, clear layout that has become the accepted format for tabletop CD decks. 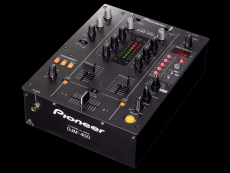 The DJM-400; Pioneer`s entry-level mixer with an all-digital mixing bus (24bit/96kHz). 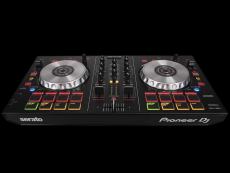 2 Channels of the best quality mixing there is.